The Wellness Center at Marshall University and the Department of Social Work are sponsoring a Mental Health First Aid class this Friday in Drinko Library. Students, faculty and other members of the community are able to attend to become more informed about the signs and symptoms of mental health issues and what they can do to intervene. 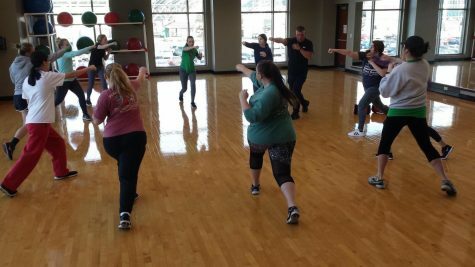 Amy Saunders, director of the MU Wellness Center, said it is important that programs like Mental Health First Aid are brought to campus in order to spot the signs of mental health conditions in the college community. Participants at the Mental Health First Aid training will learn important skills designed to help someone who may be developing a mental health disorder, Saunders said. According to the National Council for Behavioral Health, 75 percent of mental illnesses develop before the age of 25, making college campuses a common place where these illnesses can come to light. Saunders said Mental Health First Aid will provide participants with a simple five-step action plan to support someone who is potentially suffering from an emotional crisis or mental health condition, as well as other skills and techniques to become involved. Mental Health First Aid training is 8 a.m. to 5 p.m. Friday in Drinko Library Room 138 and registration is available online.